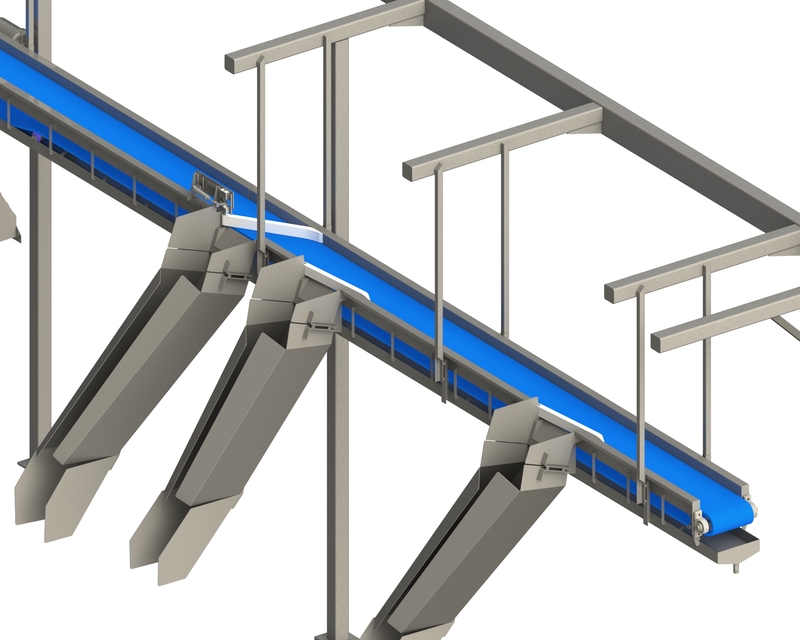 Features and benefits:Overhead conveyors maximize floor-space while providing simple repeatable diverting of products from one to two lanes or more without the interruption of work flow. Custom built to your length and width requirements. Produced and constructed with sanitation features in mind. 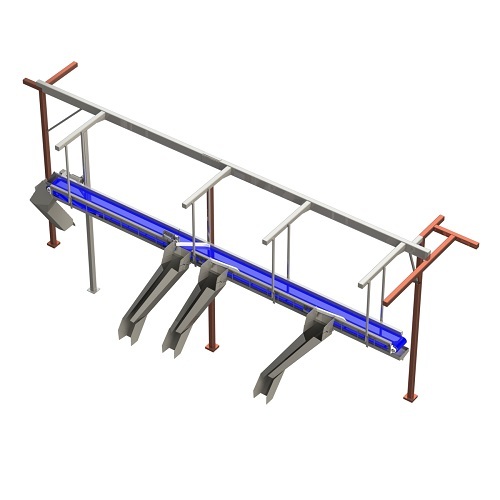 Belting, in line washers, speed control and diverters are all built to customer specifications.